After three days without blogging, since the disrupted Internet connection due to earthquake in Taiwan, i managed to post again. The Internet connection is not yet fully recovered, but it's better, since i can connect to YM to contact my friends/colleagues, browsing to GMail to check my messages, and browsing to some abroad sites. I had to use TelkomnetInstan to be able to post on this blog again, since my primary ISP, Citranet is still unable to look for Blogger's new IP. Maybe their bandwidth is still reserved for more important client, such as governments and military. Well, my father has came back from the hospital after staying for two days and he's in recovery phase right now. Since my mother had to go to US to look for my grand mother, i had to stay a little bit longer in Jogja and take care of my father. I was supposed to go back to Jakarta at 3 January, but i think i will stay for one more week and make sure that my father has fully recovered before me and my sister go back to Jakarta again. That means, i had to work with slow Internet connection, since i'm still using dial up connection at my house, compared to ADSL connection at my office. Well... at least i can post something on my blog again. I heard that 7,1 SR earthquake strucked Taiwan and it caused an underwater cable broken, thus slowing the Internet connection all around Asia and perhaps all around the world. Well, it may have been fixed by some of the Internet provider by re-routing their traffic to Satellite, but not all of them, since i'm able to open up Blogger which is abroad site (even though it's very very slow). Today, i had a bad day. My father was ill this morning and had to stayed at the hospital for a few days, so i have to accompany him at the hospital. The other bad news is that my grand mother who is living in the US is being treated in the ICU. I hope they will recover as soon as possible. Today i just spent most of my time with my girlfriend at her house, watching DVD movies that we borrowed in the morning and also had some chats. We also borrowed some comics books and when i got home, i read them all. I haven't read the novel that i brought from Jakarta (i borrowed it from my colleagues). At night, i played cards with my cousins. It was very fun. We played this also last night and we played it for more than three hours up to 1 AM in the morning. Well, it's very fun, so we didn't look at the time. It's always nice when you have fun together with your family and relatives. At the mall itself, i met several friends of mine and have a little chat together. It was nice to meet them. When we want to go home, it started to rain, so we had to postponed it and we had a talk with my cousin that i met in the mall. When the conversation was over, the rain has stopped, so we could go home safely. I want to say Merry Christmas to everybody in this world who celebrate christmas day. I hope the joy of Christmas is being blessed to all of you and your family. Enjoy your weekend, vacation, and christmas with your family, friends, and even your enemy. Today, i went to my girlfriend to spent some time together and we watched a DVD movie that i bought in Jakarta. It's called Romeo and Juliet: Sealed With a Kiss. It's about two sea lion who were falling in love, but they were in different races, so everybody against them, mostly when the prince wants to marry Juliet. It was a romantic film and we both liked it. At night, i had a family party at the restaurant (not only my family, but all of my relatives). It's always held every year and each year, the participant always increasing (due to some of our family member has their own girlfriend/boyfriend). This year, only one single member didn't attend it, which is my cousin, because he's in Australia right now. Too bad he couldn't join the party, but we do hope that next year, we will be able to reunite again. After the party, some of us (only the kids) went to another place, called Peppermint and bought some ice cream there. From there, the party was over. After taking my girlfriend back to her house, we went back and played billiard at my house with my uncle and my cousin. Finally at about 5:21 PM, i arrived in Jogja. I should have arrived in Jogja at 2.30 PM if the airways didn't change the schedule as they like. They changed our schedule 4x before the final schedule was set to 4:30. The weather wasn't rainy, but it's still not the best weather when you were travelling using plane. When i arrived, a lot of my relatives pick us up and i was quite surprised, since usually only 1 people who picked me, but today there were 2 cars to pick us up (maybe our luggage was too much so that it won't be fit in only one car). This is my second visit to my hometown after the earthquake which heavily damaged Jogja in May. I see that most of the buildings had been rebuild and most of them were finished. There were some new addon to Jogja also, like the new big screen near Garuda Hotel and Malioboro which display a video about Jogja. It uses Windows operating system, because i saw a confirmation dialog which ask the operator when he/she wants to delete something. Quite funny. Too bad i didn't bring my sister's digicam, so i couldn't take the screenshot of it. Maybe that's all for now, as i didn't have too much time to travel around Jogja today, but i will write quite a lot of changes about Jogja during my vacation here in Jogja. Without you, i won't be here right now. I'm very grateful to have a mother like you who always be at my side. 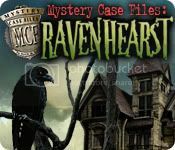 A new mystery point-and-click is here: Mystery Case Files: Ravenhearst. It's the next series of Mystery Case Files which has released two version before this release: MCF Prime Suspect and MCF Huntsville. Rumors surrounding the history of stately Ravenhearst Manor have circulated for decades. The recently acquired diary of Emma Ravenhearst may hold the key to unraveling the tale behind this unsettling place, yet the pages are missing. Players assume the role of Master Detective to unlock secrets held within Ravenhearst, scouring 32 rooms in the manor for cleverly hidden clues. Locating and assembling diary pages helps tell the story of the house and, ultimately, unlock the mystery. This game is bigger then the other release (perhaps with more better and detailed graphics), but if you are truly a fans of this kind of game, you should try this game. It will make you addicted to it and keep playing it until you finish the game. In Saturday, i will go back to my hometown to celebrate christmas and also new year with my family and my girlfriend. It's two days from now, so i guess i should start packing my stuffs which i want to bring back. I will be in Jogja for about 10 days and i will be back to Jakarta at 3 January 2007. Why not 2? Because i have to attend my friend's wedding party. I will keep checking my emails and blogging (except when my ISP is down) and give everything i experienced while i'm in Jogja for 10 days. If possible, i will take some pictures and put it on my blog. When you decided to switch to new Blogger, your template won't be changed, so you will have an option to switch to new layout (using widgets) or stay using the old template. I have been trying to migrate to the new layout, but it's too much efforts, since i have to add a lot of elements on it to make sure that everything in my old template exist on my new template. Besides that, i have made several changes to the HTML code directly, and some of them cannot be applied to the new layout, even though i have changed the code directly, but still failed. So finally i decided to revert it back to my old template (luckily Blogger saved my old template before switching to the new one). This post is a new beginning of my new Blogger account which has just switched few minutes ago. The process is very simple. 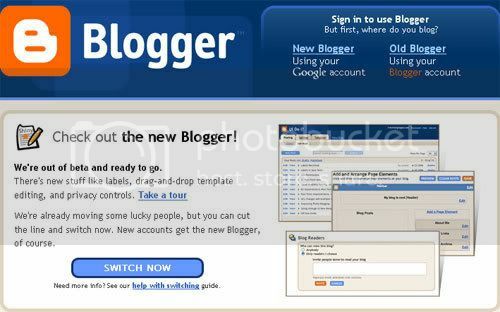 All you have to do is to login using the Migrate login screen and follow the steps there (it's only two steps before you can have your account switched to use the new features of Blogger). After that, it will display the process and it will tell you via email when the process is done. When it's done and you're still at that page, it will let you visit your new dashboard where all of your account (from your old Blogger and Beta Blogger are combined and from this single dashboard, you can manage all of your Blogger account). This post also answered my previous post about No Upgrade Option (Yet). Maybe this is my last post before i start migrating to the new Blogger. Kompas: Cyber Media or Cyber Banner? If you visit Kompas, then you will see that the page is very very slow, due to lots of banners and advertisement around the page itself. Most of them are Flash-based, so if you want to make the page loads faster, disable the flash plugins if you want to visit Kompas. Other solution which is a lot better is to use RSS provided by Kompas. They provide category-based RSS feeds, so just subscribe to the category that you like to subscribe. But most of the cases, RSS feeds only contains the headline and the summary of the article, not full article. If we want to read the full article, we should open up our browser and go to the URL (and meet the banners again). I was wondering whether Kompas should change their text into "Kompas: Cyber Banner" (original: Kompas: Cyber Media) and "KCM - Hanya Berisi Banner" (original: KCM - Bukan Sekadar Berita) because it's full of Banners, not information. Features releases will happen every 6 months. Bugfix release for important issues will be happen as a maintenance release 3 months after each feature release. We will have a continuously available code line that currently is called "SRC680". Developers can hand over their CWS to QA and the CWS will be integrated as soon as it is approved by QA. Every 6 months we will create a new branch for a feature release ("OOn", n=A,B,C...) and call the first build on this branch "beta". This point in time will also be the UI and Feature freeze date for this release. On this branch we proceed as we do nowadays: have a code freeze, release candidates etc. Once the release is done we will keep this branch open and add a selected number of bug fixes (show stoppers found late, regressions) that together make up the maintenance (micro) release that is created 3 months after the feature release. After this release the branch will be closed for regualar bug fixes. New features should be added on this branch only in very exceptional cases (means: there must be a very important reason that has a broad acceptance). Important security fixes could be done in a further micro release on this branch in urgent cases. An "OOn" branch will exist for 3 months+x (x being the time we will have between the feature freeze date and the release date of the next feature release). As we will try to keep the work load on this branch very low (at least in the 3 months after the feature release) it looks feasible even from a release engineering perspective. We should be able to avoid the problems we had when we had to maintain two diverging code lines for OOo 1.1.x and OOo 2.0 Beta for a very long time. In the meantime we can integrate new features or other bug fixes on the "main trunk" SRC680 towards the next feature release. Once the feature freeze date for the next release is reached the games starts again. Curious about OOo Roadmap? Check this image. Google Talk makes it easier than ever to chat with more of your friends. If you use orkut, Google's free social networking service, you can chat or place Internet phone calls with your orkut friends using Google Talk. orkut friends will automatically appear in your Friends list, and you'll find out instantly if you've received a new orkut scrap. Learn more. Now if your friends have chat history enabled, you can send them messages even when they're not online. Just enter a message into the chat window as you would normally, and they'll get it the next time they sign into Google Talk. In Gmail, offline messages can be searched and organized -- just like instant messages in their chat history. Learn more. With this top requested new feature, you can send unlimited files and folders to your friends through Google Talk. There is no restriction on the file type or size and the peer-to-peer transfer is fast and reliable. Learn more. Listening to music while chatting on Google Talk? Now you can let your friends see what you're listening to by selecting "Show current music track" in your status menu. Your status message will change when your song does! You can also choose to contribute your music tastes to Google Music Trends, and check out what Google Talk users are listening to across the world. Learn more. See pictures in your Friends list and chat sessions. Pick a picture for yourself and customize where you see your friends' pictures. Now you can also change the appearance of your chat sessions. Get Google Talk on your BlackBerry and chat with your friends on the go for free. You can even keep emailing and playing BrickBreaker while you chat. Download it at www.blackberry.com/googletalk (most commonly accessed via your BlackBerry). Google talk is not as big as the other IM client such as Yahoo Messenger or Windows Live Messenger, but it's still promising. It's getting updated with lot of features that are available on those two big IM client and it's only a matter of time until Google wants to support all of the features and implement them in Google Talk. Up to now, i haven't got an option to upgrade my account into the new Beta Blogger, even though i had made a new blog over there, called Slackblogs. From this Blogger Help page, it says that if we got an option to upgrade, then there will be a new blue box in the sidebar of our dashboard highlighting the new Blogger in beta. By clicking of this button, we will be able to switch to the new Beta which comes with cool features. Beta Blogger team has rolled some of the new blogger feature into the old blogger, for example, the link to create a new blog is now redirected to the new Beta Blogger rather the old blogger. This way, no more people will be using the old blogger and minimizing their efforts to make the transition process as easy as possible. But of course, you can still create a new account on the old Blogger if you want to join a team blog, or are using a language that haven’t been added to the new version of Blogger. Note that, even if your blog is eligible to switch, you may not have the link to do so on your dashboard. We are starting out by just switching over a limited number of accounts, but we'll add more and more as time goes on. However, if you still want to try out Blogger in beta, what you can do is to visit beta.blogger.com and create a new account. Later on, you'll be able to merge this account with your original Blogger account. Thanks for your patience, and we promise it will be worth the wait! Have you ever used KNotes before? If you are Linux users and you are using KDE, you can find it in the kdepim packages. In the application menu, usually you will find it under Utilities > Desktop > Popup Notes (Knotes). It's an useful application, because it can be used to record your ToDo list on your desktop without having to open Kontact application (well, you can view the note also in Kontact, since it's integrated withing Kontact packages also). Instead of buying sticky papers and put them all around your monitor, you can view them on your computer screen (you do have to turn it on the computer, of course). What if you are using Windows? You can find the equivalent application, called Sticky Notes. It's a freeware application, so you can get and use it without having to pay for the license. It has an UI interface which almost the same as KNotes with small improvements. It has several version, ranging from free application to commercial application. You can see the comparison here. One of the feature i don't like in this version is the default hotkey to display all the notes, which is set to CTRL + S, which is commonly used to save in many application, but as always, you can redefine the hotkeys as you like. Other minor bug that i found is that new settings will not apply to current note, so you will have to create new note to use the new setting. This application can be set to use transparency also, so it won't take up all of your desktop. • access sticky notes and program options from the system tray. I looked at my FeedReader and i saw an article about a flaw in OOo 2.1 which was caused by MS 0 Day Vulnerability. I download the doc file from the site and i tried this on my Windows and it gave me an error message about memory shortage before it crashed and tried to recovered it. So the temporary conclusion is that it could crash OOo 2.1 and it's a flaw in OOo 2.1. This looks like it's an integer overflow that's then crashing on when memset tries to write lots of zeros onto the heap. The memset at line 2302 tries to write 3523215364 zeros onto the heap at the location of pPLCF_PosArray. I don't see this exploitable beyond a DoS given the codepath here. If someone else could take a look and agree or disagree with me I would appreciate it. Well, i have issued a bug in OOo's Bug Tracker (#72641 which is now marked duplicate since there is another issue which is the same, #72614). I hope it can be fixed before the release date of OpenOffice.org 2.2 which will be rolled out in 27 February 2007 (according to OpenOffice.org 2.2 Release Schedule) It's been fixed now and there's an update for that (See below). Luckily, this flaw is not as severe as in MS Office. OOo does crashed, but not harming your system at all. As for temporary solution is not to open a doc file from someone you don't know. Update (20 Dec 2006 7:41 AM): OOo Security team has clarified that this issue has been fixed and a patch is available from #72614 issue tracker (only less than 4 days to fix this bug). Those who would like to have an update immediately, please download the latest OOo build with patches in this URL. Update (21 Dec 2006 7:41 AM): Windows build which includes the fixes are now available also from the above URL. Kuliax Project is an effort to bring Free and Open Source Software (FOSS) to University education, especially in Indonesia. Many students and lecturers have been "addicted" to the closed-source and expensive software that they couldn't afford or not suitable with their needs. Universities encouraged to do something important to the _real_ meaning of education by using and developing FOSS. FOSS gives civitas academica freedom to use, study, modify, and distribute all software released under its licenses. We should spend more money to the empowerment of human resources, instead of products. This is great, if each universities generate as many as possible people who can develop themself and their surrounding with 'true and open' knowledge, the one that forgeted by some/most education institutions. Kuliax Project provides bridge between students, lecturers, and civitas academica to cooperate with each other. In Bahasa Indonesia, it's called Gotong Royong. Like the logo which symbolizes people's hands that holds one to another, making a square. The near possible milestone to reach that goal is developing Linux distro to fit University or Campus needs and invite people to join in. Kuliax, is one of the implementation for the first milestone, Linux distro for Information Technology, Electrical Engineering, Computer Science, or related department, but it's likely can be used by some others departments as well. It tries to provide "base system" and applications suited to the curriculum/syllabus. You can see their complete list of application in this page. It has a lot of application commonly used for education. You can also see the roadmap for this distribution in the future. See all the screenshots here. I hope that this distribution will get a lot of supports, especially from the government, so that it can be widely used in many college or other education institute. You can help also by contributing to this project, helping distributing it or by advertising it on your blog page or website. No More Binary Module in Linux Kernel? Right now, there's a hot discussion about whether to ban the loading of non-GPL binary modules in the future. If this is agreed, then in the next 12 months, the kernel developers will notify by issuing a warning that they will ban a non-GPL modules and after that, they will put a patch which will ban the modules. This binary non-GPL modules will include the NVidia/ATI drivers along with other hardware that was only available as a binary modules (meaning not Open Source or partially Open Source). You may also want to look for discussion about Driver Core for 2.6.19. Update (15 Dec 2006: 10:51): Linus has come out against the change, and, after some discussion, Greg Kroah-Hartman has withdrawn the patch. So it's likely that the kernel itself will receive non-GPL modules, but it only displays a warning just like what we had right now. Like many other worldwide company, Yahoo always follow trends and also special dates, such as Halloween, Valentine, etc. While Google puts a banner on their logo for this special event, Yahoo do it in other ways. They put a new audible to celebrate it. Today i just got a valentine audible (i don't know whether it's old or new audible, but i just received it today). This audible will add my collection besides the standard audible which comes with YM! and also from hidden audible that was enabled by installing hidden audible application and also getting it from friends. You can see the screenshots below. As far as i know, audibles are in .swf format, so if you want to have a new audible, you will have to install hidden audibles or ask your friend which has a new audible to send it to you. You won't see anything at the beginning, as it tries to load them from Yahoo! server and then after it's done, it will be saved in your computer and then you can start using it. Indonesian audible are already available for a long time along with some other audible which came from several countries around the world. GWT (Google Web Toolkit), an open source Java software development framework from Google has been released as an Open Source Project. It's under license of Apache 2.0. With the introduction of Java 6 which includes scripting features, i think this two apps will be a great combination in the future. You can use Java as the front-end application and use scripting languages to dynamically update your application real-time. Today i will attend the IBM RSDC 2006 event in Ballroom A, Shangri-la Hotel Jakarta BNI City Complex, Jl. Jend. Sudirman Kav. 1, Jakarta along with 4 of my colleagues. I got the information when i went to JAX Asia 2006 event few weeks ago, so i asked my colleagues whether they want to go to this event also and they do, so here we go. This is the agenda of this event. Most of them are demos and also highlighting new release of IBM Rational Software series. Does anybody go to this event also? I know it's a late post, but i'm just hoping to meet you there. Sun Microsystem also released Java 6 today which can be downloaded in the Download page. Time to go scripting with Java. I have just finished reading a computer-related novel from Jeffery Deaver, called The Blue Nowhere which i just borrowed from one of my colleagues last week. This novel was talking about sadistic hacker, code-named Phate, sets his sights on Silicon Valley and killing his targets. He infiltrates their computers, invades their lives, and lures them to their deaths. To Phate, each murder is like a big, challenging computer hack: every time he succeeds, he must challenge himself anew— by taking his methodology to a higher level, and aiming at bigger targets. The good guy was Wyatt Gillette, Phate's ex-friend which was imprisoned for hacking. He was a great hackers, called Valleyman and along with Phate, he created what's called KOA (Knight of Access) and both of them are genius hackers, until someday he found out that Phate was becoming more and more dangerous. He finally report Phate to the police and they arrested Phate. This is the background why Phate had lost his humanity side. He thought what's left with him was his computer and also a new space, called Blue Nowhere (an alias for Cyberspace/Internet). If you read this novel, you will be surprised by how cool the social engineering was done here. Phate used a high level social engineering method to lure his victim and to get close to them before he could stab his Ka-Rab knife into his victim's chest (for Phate, to kill his victim from a close range is more challenging rather than bombing a whole school). It's also tells us how dangerous social engineering could be if he/she has access to a powerful supercomputer which can be used to control most of things in your state (for example, he sabotage the traffic control, infiltrate FBI and give orders to arrest Wyatt Gillette, and many more). One thing that confused me. I saw the translated version at the official site, but i don't see any Indonesian version on it, but i was reading the Indonesian version. Strange. Well, if you have time and you really like to read a novel, mostly computer-related, try to read this novel. You will like it. Sometimes when we work on a company, there's some standards which has been stated by the management. Let's see an example of an IT Company which decided to use a programming language X (you may define it by yourself). You may not familiar with this programming language, but you have to understand it as soon as possible, as this is the language that will be used in your daily activities and your career will be judged (well, consider it as a preliminary test) by how quick you can adapt with this new changes and new technology. One day, you have a client which as a product A which has been build using another language programming, let's say Y and your job is to convert the old program to the new environment/language, which is being used in your company, which is X. We all know that each programming language has it's own characteristics, so there's some features that X has and not available for Y and vice versa. You might encounter some problem like i did in the last three days and you might get frustrated by that. Let's assume that you mastered another programming language, called Z and you understand it very well. When you're stuck with the conversion (for example because you still don't understand too much on how the X programming language works because it uses a different ways in order to solve simple things thus displays the incorrect results or perhaps there's some limitation that makes your road a dead end), try to convert them into your favorite programming language, just what i did last night. When i got home, i tried to make a new code on my favorite programming language and suddenly almost 95% of the algorithm works (well, i had to make them 100% and i did it this morning and it's just a simple typo and little fix on the structure of the code) and displays the same results that i wanted to. When you get this code right, then you can start working with X programming language and convert them from your favorite Z language. It will be much better rather than converting from Y directly. I know this takes more time, but just like my previous post about remembering your limit, i think a little time wasted is worthed rather than frustrating yourself and at the end, you got nothing. It's not a HOAX!!. Yahoo Messenger is truly under maintainance. Well, it's quite lucky since they are doing their maintainance on Saturday when most people don't work so those who are used to use YM! will not have too much problem on their work (besides, it will only be down for about two hours if there's no more delays). 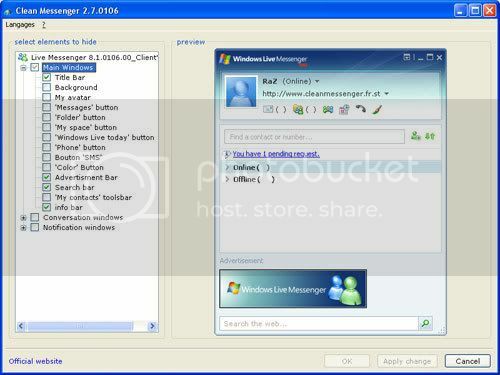 This means that Windows Live Messenger will also affected due to this maintainance, since they have made a cooperation between Microsoft and Yahoo to let their IM client chat to share their network services. Please note that this maintainance only affect YM! services, not the other Yahoo! services, such as Yahoo Mail. Let's just wait and see for now. Sony-contributed patches aimed at adding machine-specific features for the PlayStation 3 (PS3) have been merged into the stable 2.6.20 kernel tree. The patches should greatly simplify maintaining Linux kernels for the PS3, which is already supported by at least one Linux distribution. Linux gained generic support for the Cell processor, on which the PS3 is based, with the 2.6.13 release in June of 2005. The new Sony-contributed patches to the 2.6.20 kernel appear to add machine-specific support for technology such as the PS3's memory architecture, DMA (direct memory access) model, and SMP (symmetric multiprocessing) model. A Yellow Dog Linux (YDL) distribution has been available for the PS3 since October, thanks to a development deal between Sony and YDL publisher TerraSoft. However, YDL so far has not been bundled with early PS3 shipments, despite earlier indications from Sony Entertainment's CEO, Ken Kuturagi. The new PS3 kernel patches should make supporting the PS3 under Linux much simpler, since no external patches need be applied when creating kernels for the machine. Applying such patches can complicate the kernel build process, or even lead to conflicts, where more than one set of patches is applied. The PS3 patches can be browsed in Linus Torvalds's kernel tree, here. A discussion about the patches can be found at OSNews.com, here. This means in the future, there is a high probability that more and more gaming console will use Linux for the OS or can be installed with one of GNU/Linux distribution with full features like in the computer system. The downside of this inclusion is that the kernel size will become bigger and bigger as the result of new features being added into the kernel. But as usuall, you can always compile your own kernel and throw away unneeded modules in the configuration step. yahoomessengerteam: Yahoo! 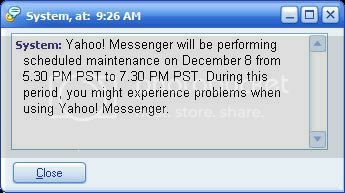 Messenger will be performing scheduled maintenance on December 8 from 5.30 PM PST to 7.30 PM PST. During this period, you might experience problems when using Yahoo! Messenger. If you read the update section on my previous post, then you should know what i'm going to talk about in this post. Sometimes, when we were at work, we find ourself always being chased by deadline or busy schedule all day long and sometimes, it didn't give us a chance to relax even for a bit just to lower the pressure. But sometimes you have to remember your limit. When you are doing something and you are stuck on one thing for quite a long time, please consider to do something else and forget about what you do for some time. Have a tea, chat with your friend, do some sports, or any other activities that can help you reduce the pressure on it and get back to the work again when you think you are ready to handle it again (it depends on where are you right now. If you are in the office, then take 5-10 minutes off. But if you are working your job at home, you can sleep for a while). Small analogy will explain this method. Our body is like a machine which has limitations. If we are forced to do lots of activities all day long, we might feel exhausted, both physically and mentally. If we are very tired, then our productivity will drop and it's not good for our health also. Small example, if you are a programmer and having a difficult algorithm that has to be implemented and you're stuck at one part and keep pushing yourself, you might get headache at the end (and you may not finish the algorithm also). That's two disadvantages. Will it be better to have a small break when you are at your limit and let your mind have some rest before you restart your work again? I had a VB code which has to be converted into C# and it uses a Chr function which (i think) is not available on C#. I have been trying to use ASCIIEncoding class to convert ASCII number to the equivalent character, but still it doesn't fulfill my need. So i'm trying to add Microsoft.VisualBasic namespace into the application and define the Chr method. It worked, but i got an error message: Cannot find the EntryPoint for the DLL. Anybody has a solution for this? It's not the only function that is missing in C#. Maybe they thought because you can add the other assembly/namespace onto the current project and you can have it, but another question arise: "How do i browse the functions inside DLL files?". There's a lot of DLL in Windows platform and not too much documentation about it. That's what MSDN comes for to help you, but it won't help you that much. Some of the private function are not accessible through MSDN. Personally, i'm enjoying web application since most of the standards are open and available for public, mostly when they come from W3C. 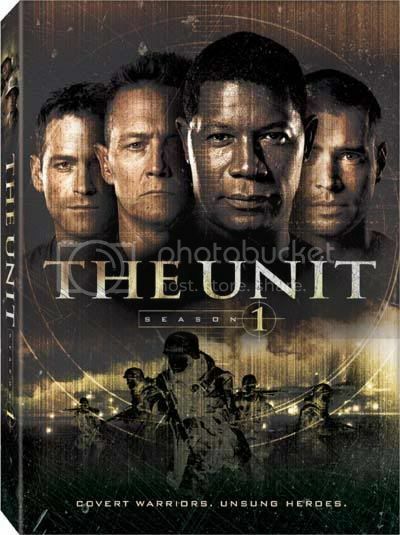 After finishing the season 5 of 24 series and still waiting for the upcoming season 6, i got another DVD movie to be watched, The Unit. It's not as long as 24 as it only had first season up to now (the first season was released on September 19, 2006, almost three months ago). So it's still has the same background with 24, special forces team. But in 24, the main focus is Jack Bauer, not the rest of the team. Here's the difference. * Unit testing : tests the minimal software component that can be tested. * Integration testing : exposes defects in the interfaces and interaction between integrated components. * System testing : tests an integrated system to verify that it meets its requirements. * Acceptance testing : allows the end-user or customer to decide whether or not to accept the product. -- Alpha testing is simulated or actual operational testing by potential users/customers or an independent test team at the developers’ site. Alpha testing is often employed for off-the-shelf software as a form of internal acceptance testing, before the software goes to beta testing. -- Beta testing comes after alpha testing. Versions of the software, known as beta versions, are released to a limited audience outside of the company. The software is released to groups of people so that further testing can ensure the product has few faults or bugs. Sometimes, beta versions are made available to the open public to increase the feedback field to a maximal number of future users. Suppose you need more information about testing terms, you can find the information at OneStopTesting and if you need an open source software testing tools, grab them here. Selenium was also one of them and i have wrote about this in my previous post. Remember, there's no application in this world which has no bugs. Every software HAVE Bug. It's a matter of time until the bug is discovered. One other reason that might bring new bugs on the software is adding of new feature. But of course this is not avoidable. The software must be improved and one of the simple way is by adding new features. The conclusion is to test..test..test..
Do you like to use MSN Messenger or Windows Live Messenger? Well, if you do, then you will probably find that this IM client has some kind of advertisements all around the interface (YM have it also). Is there any ways to get rid of this? Luckily... YES. There's a program called Clean Messenger which can help you to clean this bloated information and gives you a simple UI at the end. One note about this program is that after making changes and you hit the Apply Changes button, it will restart your messenger, so it cannot change it dynamically. Most people develop a web site with such a lot of fancy stuffs to attract people to visit their site, but unfortunately, they sometimes skipped one thing: Readability. 1. Use contrasting colours. Text is easiest to read when the font text colour and the background colour are in high contrast. Low contrast irritates the reader and causes eye fatigue. Viewers with impaired vision may not be able to read low contrast text at all. You can check this with the Vischeck, which shows you how your website looks to colour blind people. 2. "Chunk up" your copy. That's technical talk for make your page more scan-friendly. Large blocks of dense text intimidate the reader and causes "information overload". * Use bullets and subheadings. They help get the readers attention and say "Hey you - this is important!" Coloured bullets are an easy way to add colour and visual interest to a text heavy page. Subheadings should be brief and convey a summary of the section. Too often we're tempted to use clever titles whose meaning is lost on the reader. * Keep your paragraphs short. Breaking a long paragraph into several smaller sections invites the viewer in to read. A little white space between the paragraphs gives the site a clean look. * Impatient visitors want to be able to glance at your page and hit the important points. You can help them by bolding important points or highlighting the text in a different colour to draw their eye. * Use columns to control text width. Your goal here is to avoid running your text all the way across the page. Pick up any newspaper. Notice how they place the text in columns. The shorter width makes the text easier to read. 3. Avoid busy backgrounds. Nothing screams "amateur" like a noisy background that makes your text impossible to read. 4. Less is better. Many sites look like my kitchen table - always cluttered with things that don't belong there. The more extraneous items you cram on a web page, the more you confuse and distract the visitor. Websites take on an unprofessional look when you start tacking on too many items. Challenge every item on the page. Does it really need to be there? Is it still functional? Can I do without it? 5. Strive for a clean font style for maximum readability. * Plain text is easier to read than italicised text. * Mixed case is easier to read than all upper case. Studies have demonstrated that it takes people longer to read upper case than mixed case. Besides, upper case has become synonymous with screaming on the web - and I'm sure you don't want to scream at anyone. * A sans-serif font is easier to read than a serif font. If you were wondering, serifs are the little marks at the end of letters. Sans serif fonts do not have serifs. Examples of serif fonts are Times New Roman and Courier New. Popular sans-serif fonts are Arial and Verdana. 6. Don't use itsy-bitsy font sizes. Nothing contributes to eyestrain faster than tiny font! Ideally it's recommended that you leave the font size scalable so users can control the size they want. 7. Make your links look like links. If you just can't bring yourself to colour your links blue (the Internet convention for links) at least underline them. And don't underline anything that isn't a link. That faux pas makes readers mad, fast. Embedded links (links within the body of the text) work well and according to a Wichita State usability study2 they are preferred by readers. Here's the result of my personal site when being simulated with Vischeck (Deuteranope option). Yesterday ISO, the International Standards Organization, finally made the OpenDocument Format (ODF) specification into a real ISO standard by pushing the specification into stage 60/60. This means that every government on earth could -- and indeed should -- specify ODF as the preferred format for storing office files. For more details, see ISO's webpage. After this specification is approved as the real ISO standard, i hope that Indonesian government also start consider this standard as the national standard just like what happened in Malaysia, Massachusetts, and several countries around the world who has started to adopt ODF as the national format. By using this standard format, it will be guaranteed that the file can be accessed by any ODF-compliant application, including OpenOffice.org, KOffice, Abiword, and also commercial application, including Microsoft Office and StarOffice. Last night i watched 24 season 5 where Jack had to faced another terrorist who wanted to release Sentox VX nerve gas after they discover that a US agent has infiltrated their organization. The gas was supposed to be used to attack Moscow. The first initial testing of the gas was on Sunrise Hills Shopping Mall, but since Jack managed to shut down the air system, the damage could be reduced to minimum, even though some people had been infected by the gas. Well, i don't see that kind of training implemented here in Indonesia, mostly for they who worked on tall and big buildings (for example buildings in Sudirman's area). Even though it looks embarrassing to run out of the buildings when there's nothing wrong, but it's still an important thing to be done, even for precaution. And also, this kind of training should be conducted in a scheduled period, for example twice a year. Just imagine that you are a web application tester. You tried several things, and suddenly, you found a bug on the application. You tell the developer about the bug and they will fix it soon or later on. After they fix it, they will notify you directly or by changing the status in some kind of bug tracker or defect management system which is being deployed by your company. So you will have to test it again and unfortunately, the process to reproduce the bug is quite long. You may skip some steps, but it may not the same way you reproduce the initial bug. So how do you solve this? Well, Selenium is the right apps for you. If you have know Camtasia, then it works almost like that. Camtasia can used to create presentation or demos and it records the activities on the screen and make a movie format as output. What you need is something like this, but in addition, you can ask Selenium to replay the activities (just think of automated test) and you can apply steps you have taken to reproduce the initial bug. By using this application, you can cut down some time to take some steps before you can reproduce the bug. It's very efficient and helpful application. If you are running Firefox browser, then you can get them running by installing the extension directly and restart your browser and it will be activated. Next, when you want to conduct some test, just press the record button and it will start recording. 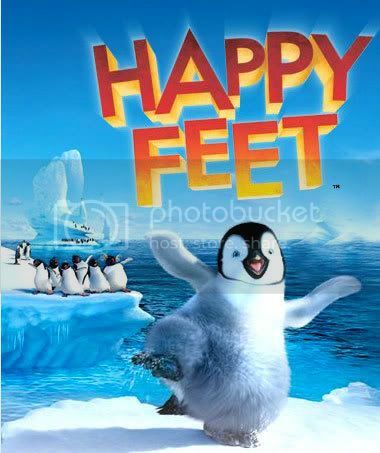 When you found a bug, stop the recording and you can navigate each steps that you have taken again by playing it again. Selenium IDE is not only recording tool: it is a complete IDE. You can choose to use its recording capability, or you may edit your scripts by hand. With autocomplete support and the ability to move commands around quickly, Selenium IDE is the ideal environment for creating Selenium tests no matter what style of tests you prefer.